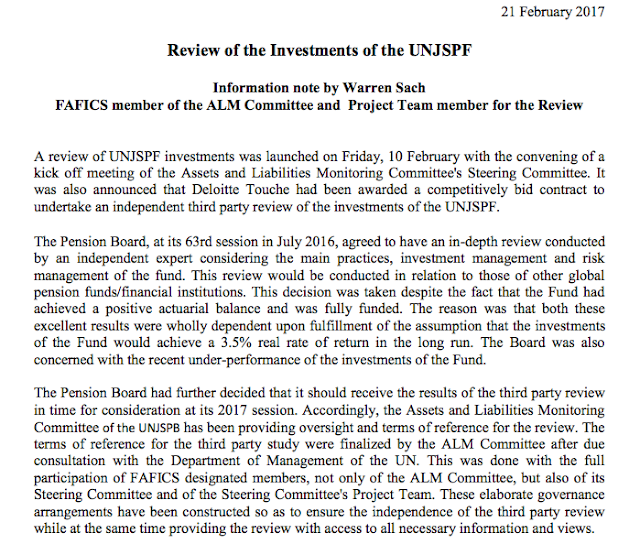 On the AFICS/NY website we have posted a note from FAFICS on the current status of the review of the Pension Fund's investment side. 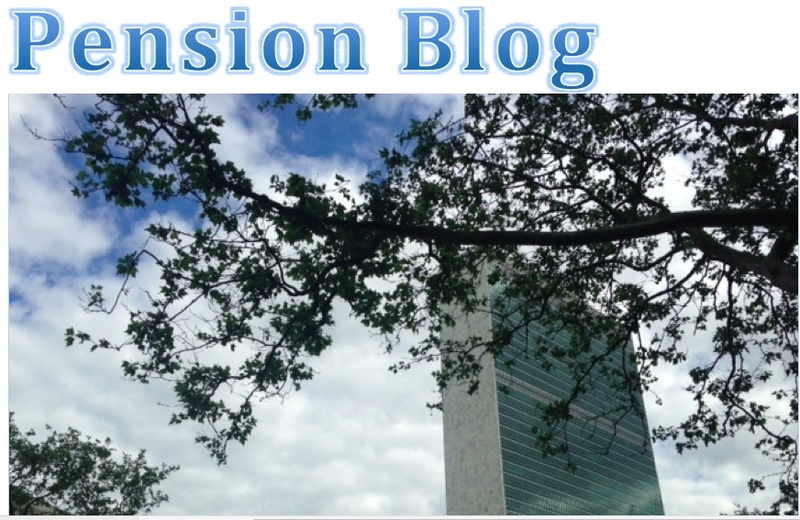 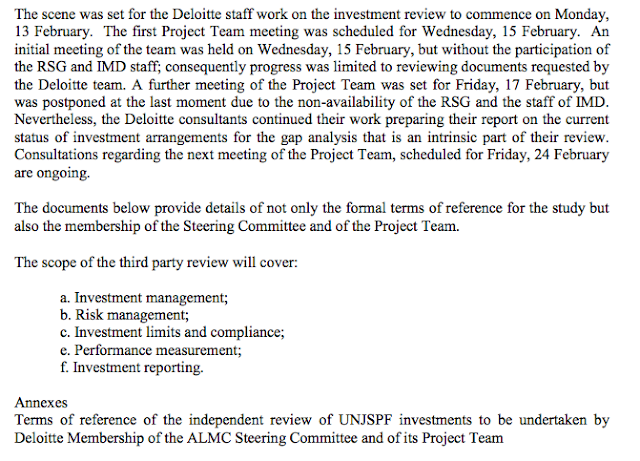 That review was requested by the Pension Board and approved by the UN General Assembly. 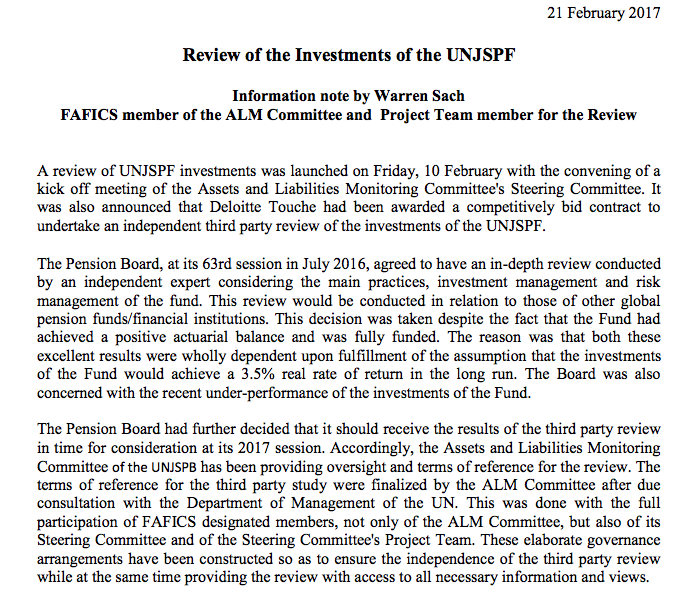 Here is a direct link (below) to the note from FAFICS that is on our website.